James Colombo has spent several decades working in the floorcovering industry. From junior apprentice to president of JC Floors in Boston, MA, he’s seen a lot of change since the 1970s. However, one thing hasn’t changed, and that’s the importance and value of trained and certified installers. Colombo first got involved in the industry through a family connection. His uncle worked for M. Frank Higgins & Co., one of the largest flooring contractors in the country during the 1970s. Colombo joined its growing team as an apprentice and worked for the company for four years, before transitioning to another company as a field supervisor. After six years, the company owner shut its doors, but not before Colombo asked if he could continue to service several major accounts and relationships on his own. He started his own business, JC Floors, and was a jack-of-all-trades. 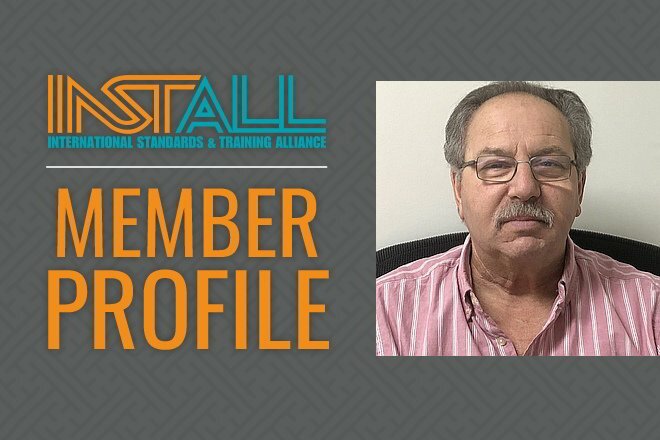 From estimating to site visits to installation, he did it all. Eventually, Colombo’s company began to grow, and over the next few decades would include nearly 60 installers and 15+ support staff in the office. All along the way, INSTALL has played an important part in his success. Since he understands the importance of INSTALL’s training and certification program, Colombo has his lead mechanic come into the workshop and provide updates on heat welding, flash coving and other installation techniques to make sure his staff stays sharp. He also sends his team to manufacturer trainings.